If they merge, Sprint and T-Mobile would be on par with the nation's carrier behemoths, AT&T and Verizon. For federal regulators, it'll be a hard sell. Sprint's parent company wants to buy T-Mobile. But U.S. regulators fought hard to keep T-Mobile independent in the past and likely will do the same in the future. Even facing an uphill battle, SoftBank CEO Masayoshi Son told Charlie Rose on PBS late Monday said he is determined to add T-Mobile to Sprint's "framily." "We have to give it a shot," Son said, making the case that Sprint (S) must try to acquire T-Mobile (TMUS). He said it's the only way to form a worthy resistance against AT&T (T)and Verizon (VZ), the two players that currently dominate the mobile industry. 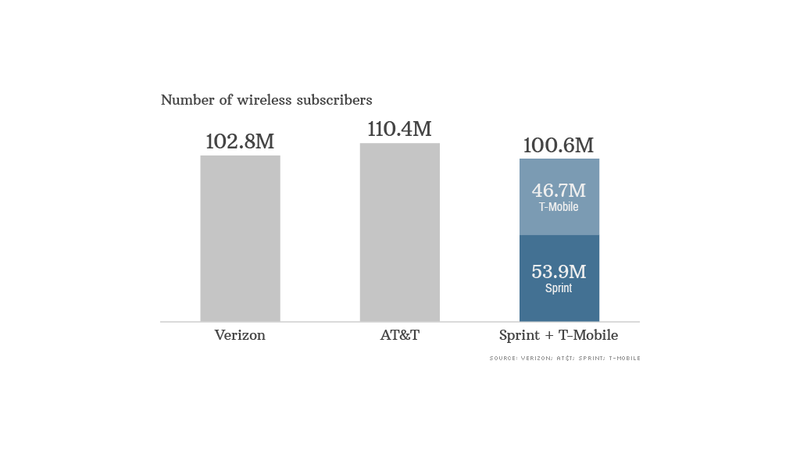 A quick glance at the number of subscribers for each of the four national carriers shows a giant gap between No. 2 and No. 3. Would consumers really be better off with three major players, each with a nearly equal share of the market? Son thinks so. "Once we have enough scale to have a level fight, a three [player], heavyweight fight, then... I can go with a more massive price war," he said Monday night. But that price war has already begun. Since the beginning of last year, T-Mobile has been engaging in an aggressive and unapologetic marketing campaign dubbed its "uncarrier" strategy. Its aim is to upend the mobile industry, and it's been doing that by eliminating contracts, dropping international roaming charges and offering to pay competitors' customers $650 to switch over. The big boys are already feeling the pressure. AT&T recently offered T-Mobile customers $450 to switch and twice cut prices this year. Sprint and Verizon have also cut prices in response to T-Mobile's campaign, and all three of T-Mobile's competitors have begun moving away from two-year contracts. When blocking AT&T from buying T-Mobile in 2011, the Obama administration argued that consumers were better off with a fourth player like T-Mobile. Antitrust lawyers at the Justice Department said the company's underdog status made it disruptive, keeping the industry competitive. "AT&T's acquisition of T‑Mobile would eliminate the important price, quality, product variety, and innovation competition that an independent T‑Mobile brings to the marketplace," the lawsuit stated. That has certainly come to pass. T-Mobile made good on its promise as an innovator. That's why Allen Grunes, an antitrust lawyer for Geyer Gorey in Washington, D.C., said the odds are stacked against a merger this time as well. "That tells the DOJ they were right," Grunes said. "The decision to block was the correct decision, so why would you let another telecom take them over?" But it's unclear how long T-Mobile can keep that up. The rebel approach earned it 1.6 million new subscribers in the fourth quarter of 2013, but the company's posted a $20 million loss. That's why some industry experts believe T-Mobile and Sprint would be better off together. Ken Dulaney, a mobile analyst for Gartner, said he isn't convinced T-Mobile's strategy is working. 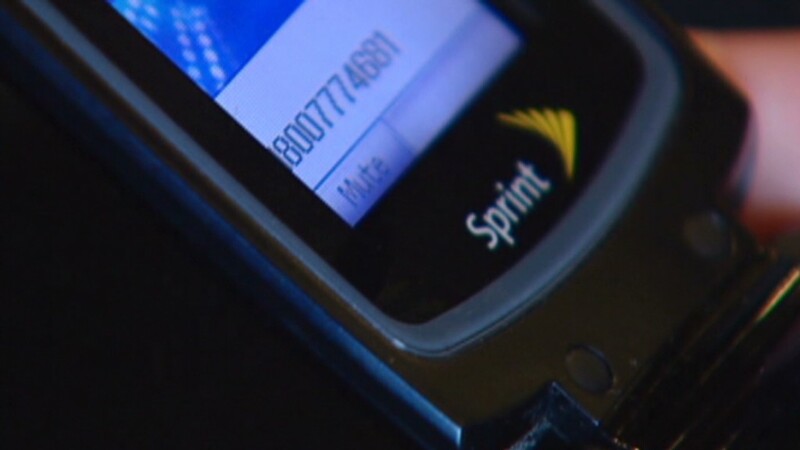 And Sprint is still hurting from ineffective business ventures that he calls "massive diversions" -- such as investing in the failed WiMax wireless technology, and disastrously merging with Nextel in 2005. "The way it stands right now, four years from now we'll see two really big guys and two wannabes," he said. Softbank's Son hopes regulators see a merger between the third- and fourth-biggest carriers as more favorable than No. 1 buying No. 4. "Two little ones who are not able to fight ... that's no good, and I think the situation needs to be changed," he said.